In ‘Frostbike’ Tom Babin shares the history of biking on snow and ice and describes a new generation of two-wheeled technology to make riding in winter safe and fun. If you want to read more of his work, Tom writes “Pedal”, one of the most widely read cycling blogs in Canada. 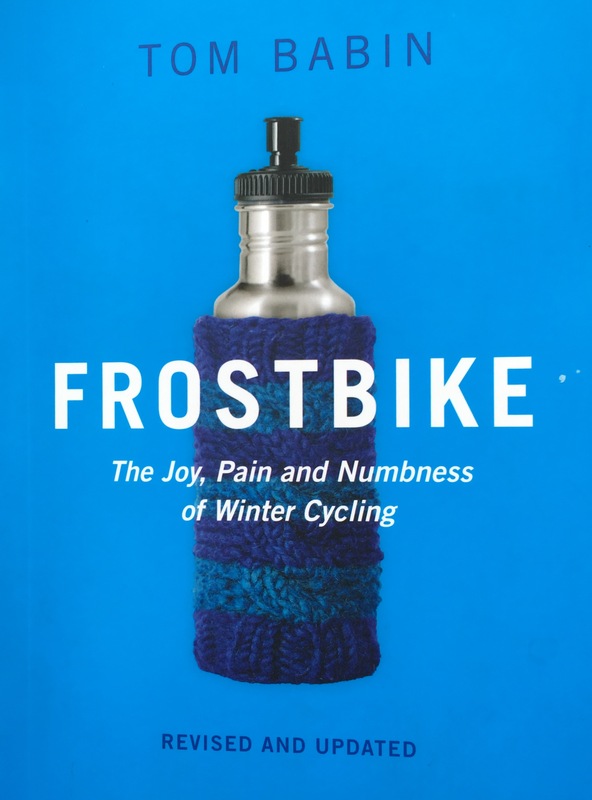 In ‘Frostbike‘ Tom refers to research that identifies the most bike-friendly winter cities in the world. The top ten on the list were all in Finland and Sweden and had populations of less than 150,000 people. All of the cities had small populations of active people that allowed cyclists and pedestrians to comfortably share infrastructure during winters that were snowy, predictable and relative mild. It is important to note that the survey data had strict criteria and was limited by lack of information from countries such as Russia and China. Even so, it gives some sense of the key factors that encourage winter cycling. Importantly, these cities made it easy to ride bikes over winter which made them attractive to people. Even with the health and economic benefits associated with riding pushbikes, if it is not easy to do, people are less inclined to do it. Tom Babin also feels that culturally different attitudes to winter in Europe and North America is related to the number of winter cyclists. 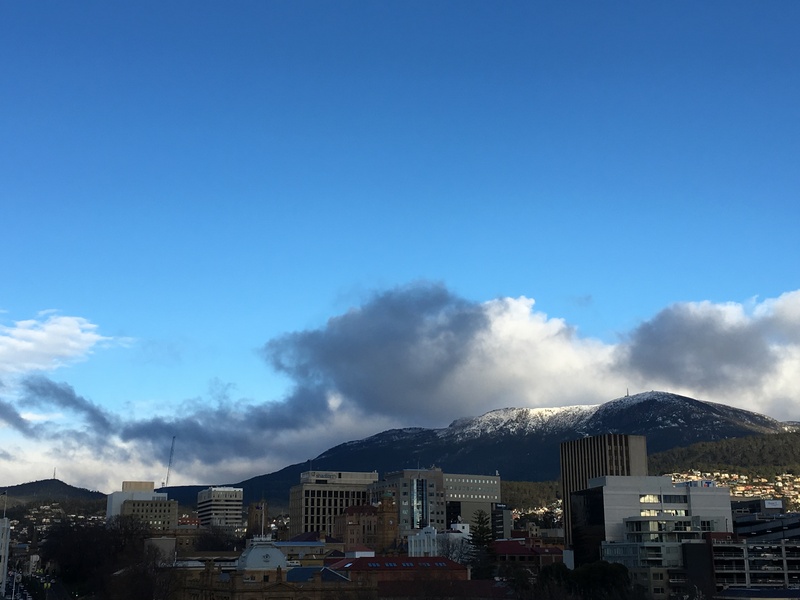 His view is that the habit of complaining about the weather has become second nature in Canada, and perhaps North America, to the extent that it helps explain the reluctance to embrace winter and, with it, winter cycling. This is in contrast to countries like Denmark where thousands of people ride their bikes through snowstorms. In northern Europe, he says, they don’t see winter as the enemy. It just is what it is, so they just deal with it. Tom concludes that winter cycling can be a viable and pleasurable way of getting around, especially with the growing popularity of ‘fat bikes’ that have larger tyres than normal bikes. Importantly, and interestingly, he emphasises the importance of attitudes and outlooks on winter as the key to the mass acceptance of year-round cycling. This applies to other weather/elemental conditions as well. 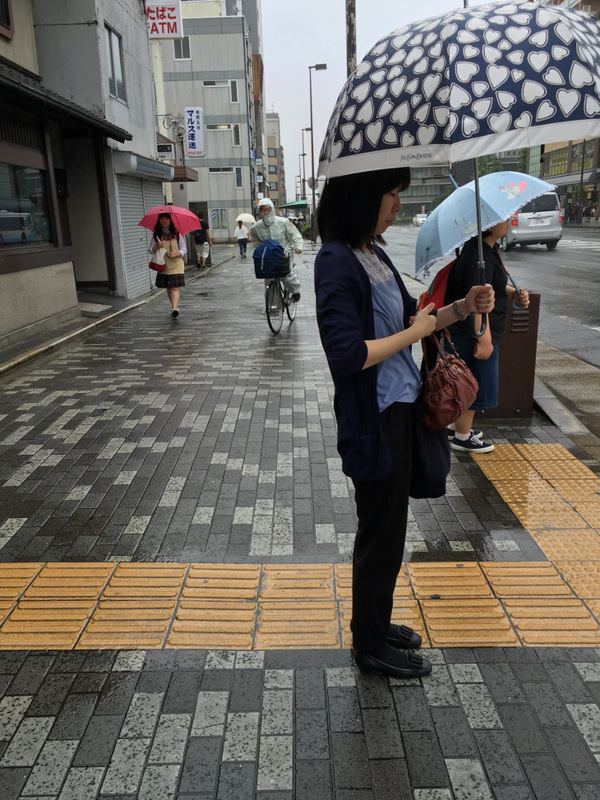 What struck me on my recent trip to Japan was how people kept riding their bikes during the warm rainy season (tsuyu) – they just used an umbrella or wore wet weather gear. I was impressed. This is a fat bike, designed for soft unstable terrain such as snow, sand, bogs and mud. Source: Wikipedia. People in Japan still ride their bikes in the rainy season, either donning wet weather gear as in this image, or holding umbrellas when they are riding. Occasionally an umbrella was fixed to the bike itself. I wasn’t able to get a photo of the bike-umbrella combination as taking a picture, in the rain, of a moving object proved challenging. Viewing rain and snow and wind in a different light can make all of the difference, as Tom experienced. He found that embracing winter gave him a new appreciation of the world around him. Not only does continuing to cycle in these conditions provide exercise, it contributes to a persons overall wellbeing. The same can be said of other activities that get us out and about in weather conditions perceived as poor. It may take some effort but it’s worth it. Since writing this post I discovered the Siberian Ice Marathon, held each year on January 7th in Omsk, Siberia. The participants are really cool dudes! You can read more about them and other elemental topics in my post ‘Catching up on the elements‘. This entry was posted in Air, Australia, Books & reviews, Europe, Popular culture, Story telling, Water, Wellbeing and tagged cycling, Energy, Water, Wind, winter. Bookmark the permalink. I agree that it’s great to come across new ideas like this, and it fits well within your elemental inquiry. I was interested in the observation made about the Canadians and Northern Americans being more likely to have a ‘habit of complaining’ and that in Northern Europe they have an attitude of ‘it is what it is’. I can see times when I have used the weather as a reason to stay inside. Your post encourages me to question such responses, it also fits in with my desire to be more resilient! The psychology of how we view and respond to the seasons is really interesting. Tom has a chapter called ‘Winter haters’ where he further explores the perceptions and conversations about winter in cold climates. A major study at the start of our new millennium studied the perceptions of children to winter in Germany, Finland and Japan. Generally the study found that children have much more positive attitudes toward winter than adults, but that slowly faces as people age. Even more interesting to me was his discussion of how the portrayal of winter in the arts and media has changed over time. He cites an academic from the Winter Cities Institute who said an aspiration for all of us is to live in California.There is much more to the book than fat bikes! This book sounds like it has bountiful snippets of fascinating information on the topic, maybe I should borrow it! ?